Mubychem Group, established in 1976, is the pioneer manufacturer of Sodium Formate, Pharmaceutical, Fragrance & Flavor chemicals in India. Mubychem Group has several manufacturing facilities spread across Gujarat and Mumbai India and world wide contacts and toll manufacturers. We are exporting globally to countries like USA, Europe, UAE, South Africa, Tanzania, Kenya, Egypt, Nigeria, Uganda, Turkey, Mexico, Brazil, Chile, Argentina, Dubai, Indonesia etc. No number assigned. This product is not regulated under this code. White crystalline powder with slight odor of Formic acid. 25 Kg. HDPE bags with an extra polythene liner inside or as required by the buyer. Sodium formate is used in several fabric dyeing and printing processes. It is also used as a buffering agent for strong mineral acids to increase their pH. Sodium formate can be prepared in the laboratory by neutralizing formic acid with sodium carbonate. It can also be obtained by reacting chloroform with an alcoholic solution of sodium hydroxide or by reacting sodium hydroxide with chloral hydrate. 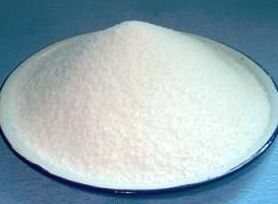 The latter method is generally preferred to the former because the low aqueous solubility of CHCl3 makes it easier to separate out from the sodium formate solution, by fractional crystallization, than the soluble NaCl would be. Commercially sodium formate is produced by absorbing carbon monoxide under pressure in solid sodium hydroxide at 160C. It chemically reduces other components by donating an electron or electrons. Formic acid and oxalic acid are prepared from sodium formate. It is used in the manufacture of sodium hydrosulfite, a common reductive bleaching chemical. Reductive bleaching agent: Sodium formate is used to improve the brightness and color in dyeing/printing fabrics and paper. Tanning of leather: Sodium formate stabilize the chromium, resulting in better leather quality. It is used for better penetration and tanning time reducing. It is used as camouflage acid in leather industry. Deicing chemical: Sodium formate is less corrosive and undergoes fast melting action relative to other deicing chemicals. Buffering agent: Sodium formate improves both desulphurization efficiency and increasing lime absorbent utilization. Animal feed additive: Sodium formate is an efficient feed additive as it improve digestibility. Sodium formate is also used in liquid detergent as a builder or an enzyme stabilizer. It is also used in dyeing, in electroplating, in silage preservation.